A video posted by Tesla also seems to tease us with another Atari classic. Late last year, Tesla rolled out a batch of games and apps in the 48.12 software update. In addition to Romance Mode and the ability to make your car fart on demand, a number of arcade games were added including arcade classics like Centipede. What better way to pass the time while charging your Model 3 than with a collection of classic Atari games? Soon after, a custom version of Pole Position and USB controller support was added. Unfortunately, not every driver got access to the new toys. 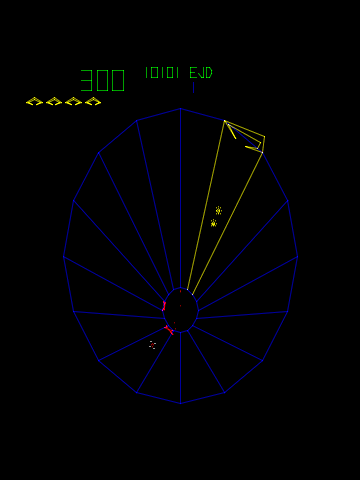 The initial batch of games (Missile Command, Lunar Lander, Centipede and Asteroids) were made available to all Tesla owners. While every Model 3 received the new game updates, older models of the S and X were missing features. Model S and Model X vehicles produced in 2017 or earlier did not have access to Pole Position or USB controller support. Couldn’t resolve all the rights issues. Will add another racing game soon. Pole Position was originally developed by Namco but licensed and distributed by Atari in the United States. The original game also featured a significant number of real world brands. So the rights issues were likely convoluted and not worth the trouble. So far, no new racing games have been added. However, the automaker has announced two additional arcade games are beaming to vehicles now. Tesla tells us that the latest update has already begun rolling out to owners, but it will take several weeks to reach the entire fleet. Owners can connect their cars to Wi-Fi to receive the software update more quickly. The newest games to join the service are Super Breakout and 2048. Interestingly, Tesla also released a short video on twitter that seems to indicate another classic game might be on its way. Perhaps we’re mistaken, but this appears to showcase Tempest rather than 2048. This video can also be watched on Tesla’s Youtube page. Here are some controllers that have been tested and confirmed to work with the Model 3 and newer X and S vehicles. Note that these only work when plugged in with USB. All official Xbox One and Xbox 360 pads appear to function normally. Most PS4 controllers also work. PS3 controllers and PS2 controllers with USB adapters do not. Many budget third party controllers also do not work correctly. But we have listed a few below that have been confirmed as compatible by owners around the web. If you have had a chance to try out any other game pads or joysticks, let us know in the comments below and we will add them to the list. As far as we are aware, USB controller input has not been added to pre-2017 Models, but if this has changed for you drop us a comment. 12 Comments on "TeslAtari Update: Tesla Adds Two Atari Games, Drops Pole Position"
We need MORE Tesla trivia!!! There’s a shortage of trivia these days and our only hope is MORE trivia and Tesla is the answer! I sometimes wonder when we can collectively stop glorifying the 80s. But I guess we will just switch to the 90s then and that’s not a bit better. The 80s inaugurated much of our modern world: personal computers, electronic music, us vs. them politics so it’s going to hold a special place. GM EV, cell phones, personal computers, internet, e-music, violent left wing nutjobs in US started in the 70’s. A lot of people still have to die before America’s greatest decade is forgotten. Can’t you get an upgraded MCU for Tesla? I thought you could do that when they switched from ARM to Intel in 2017? Elon at least said it was possible, why wouldn’t it? But so far I haven’t heard of any retrofit program, or even how much it could cost. I wonder when Tesla will Stop The Madness so that people can play Apple II. Bilestoad, anyone? They should have put in an Amiga emulator. It’s not like the hardware couldn’t handle it. Much better games. Menace, Shadow of the Beast, Frontier:Elite II, Worms, Dragon’s Lair. Of course, the emulator is a piece of crap and their quality control only extends to the newest hardware. These games run horribly on older systems, for no good reason. I feel like everyone is Agile-oriented at Tesla and has no idea how to write decent, reliable software. Why does the Bluetooth stack keep running into bugs??? “Why does the Bluetooth stack keep running into bugs?? ?” is something that everybody asks about every bluetooth device.